Regulatory subunit of calcineurin, a calcium-dependent, calmodulin stimulated protein phosphatase. Confers calcium sensitivity. 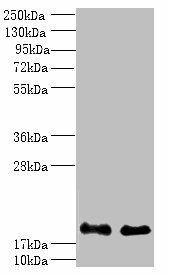 PPP3R1 Polyclonal Antibody. Unconjugated. Raised in: Rabbit.